The history of Climate Solutions Inc. spans nearly 8 decades, three generations, and a multitude of successful projects throughout central New York State, Northern Pennsylvania and the Carolinas. However it did not begin with the name Climate Solutions. 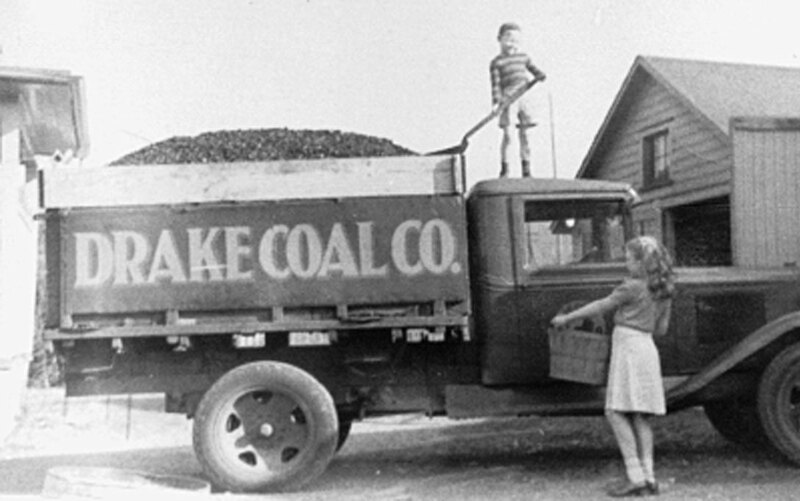 In 1937, G. Manning Drake founded the Drake Coal Company. He company quickly became the largest coal distributor in the area. 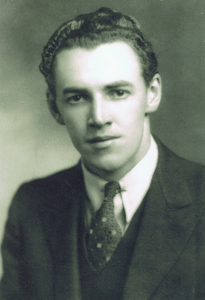 Distributing coal and heat generating equipment, and backed by service which has never been forgotten, G. Manning Drake laid a solid foundation of business practices that are still honored today. As the times dictated change so did the company. Coal gave way to the development of natural gas, electric and fuel oil and, with it, went the coal trucks. Trucks gave way to service vans. 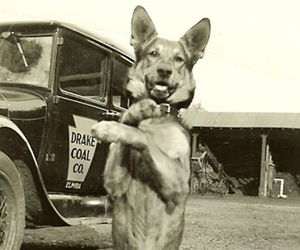 Drake Coal Company became Drake Heating Company, a name which it kept until 1976. 1971-1972 brought into the business a new generation of Drakes; William, David & Stephen. These three brother were eager to attack the fast growth market of commercial & industrial mechanical contracting. Paying little attention to the vicarious bid/spec. market, they channeled their efforts toward design/build projects. Their plan was to create the best commercial service department available, and use that strength to penetrate industry and business. Ultimately when a project would be needed, they would lean on their established service reputation to get an opportunity at the design/build. This method proved successful, and by 1976 the company had grown and evolved to the point that a new name was incorporated. 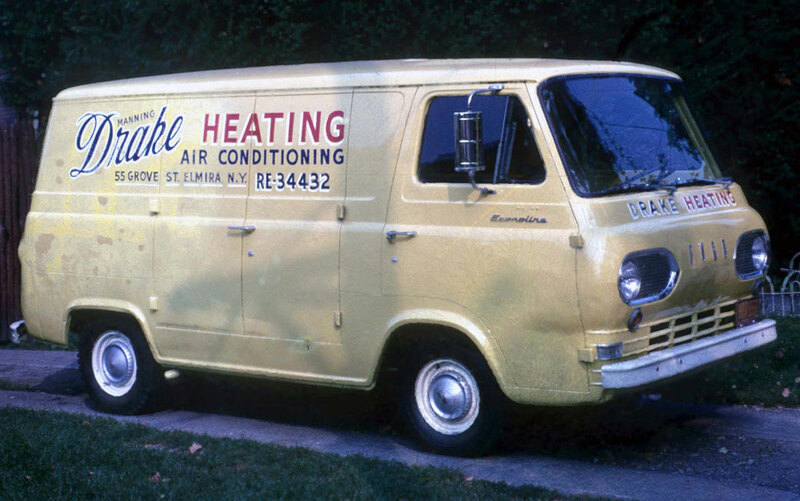 Drake Heating & Air Conditioning, Inc. was formed. In the late 1970’s the Drake’s had earned national recognition for commercial design/build. Drake Heating Company was recognized as Dealer of Year by the Rheem Manufacturing Company for the economical design/build of a chain of fast food restaurants equaling over 600 tons of unitary equipment. 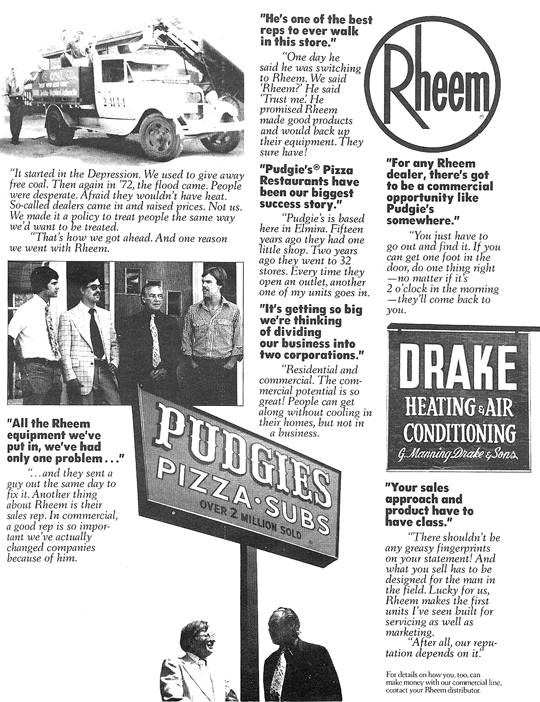 Rheem subsequently used Drake in featured advertisements in top national trade magazines. Hardinge Brothers, Inc. a major manufacturer of industrial collets and laths, accepted Drake’s design/build project for reclaiming process water and, with the utilization of water source heat pumps, they were able to heat the entire office facility with the once wasted process cooling water. Closing the entire loop, in a few years Hardinge Brothers saved enough in sewer taxes alone to pay for the newly installed reclamation system. 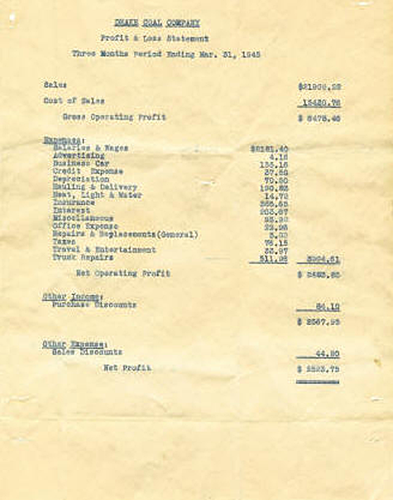 In addition, fuel savings the first year was better than 50%, and like most of their projects, the legendary Drake service earned them the sale. 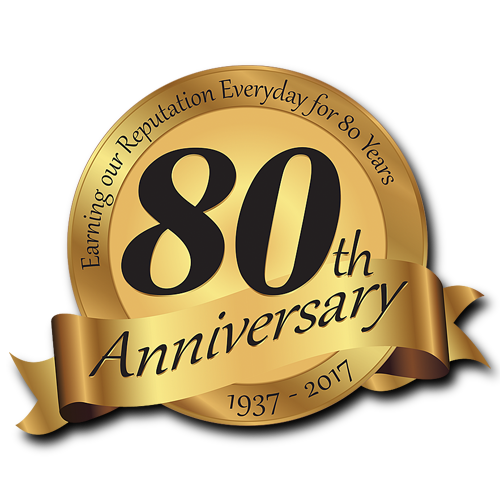 We celebrated 80 years in HVAC in 2017. Ingersoll-Rand Corp’s manufacturing facility in Athens, Pennsylvania is ventilated by equipment installed by Drake, and I-R is currently exploring the feasibility of updating to a pressure style heating & ventilation system for the entire production area, as is installed in other Ingersoll-Rand plants. Honeywell’s first commercial electronic air cleaners were installed by Drake. Honeywell, like Rheem, subsequently featured Drake in their national advertising of their new air cleaner line. Large nursing homes, schools, malls, Holiday Inns, state correctional facilities, warehouses, and Watkins Glen International Race Track are some of the various projects that are heated, ventilated and air conditioned by Drake Heating & Air Conditioning. Hardinge Brothers’ entire design/build process piping of the new expansive manufacturing facility in Horseheads, New York. Multiple projects for the Dresser-Rand Corporation in Painted Post, New York, spanning over six years and included computerized energy management systems, chilled water systems, entire facility ventilation systems, as well as numerous HVAC complete systems. Champion Manufacturing in Norwich, New York is air conditioned by York Chillers, sized, installed and serviced by Drake’s. An energy management system for entire Taylor Wine Winery in Hammondsport, New York, included over 30 miles of wiring throughout the multi-building facility. Other notable clients that have used Drake for their heating, air conditioning, and ventilation needs include Corning, Inc., GTE Sylvania, NA. Philips Lighting Corporation, Burger King, A&P Foods, James way Department Stores, Hills Department Stores, Firestone/Bridgestone Corporation, Arby’s Roast Beef, Food & Drug Research (sensitive environmental & temperature control for research areas design/build), Goodyear Tire Company, Artistic Greeting Co., Day’s Inn, Marine Midland Bank, Elmira Savings Banks, Raytheon Corporation (Airport towers), Ward Manufacturing, Cornell University Pathology Laboratories, Sysco Foods Corporation, the U.S. Postal Service. Today, Drake Heating & Air Conditioning, Inc. is under the leadership of the three brothers and remains in a steady growth pattern as they look forward to great success and growth in the new century we are now living in. In this growth is where Climate Solutions Inc. was born. 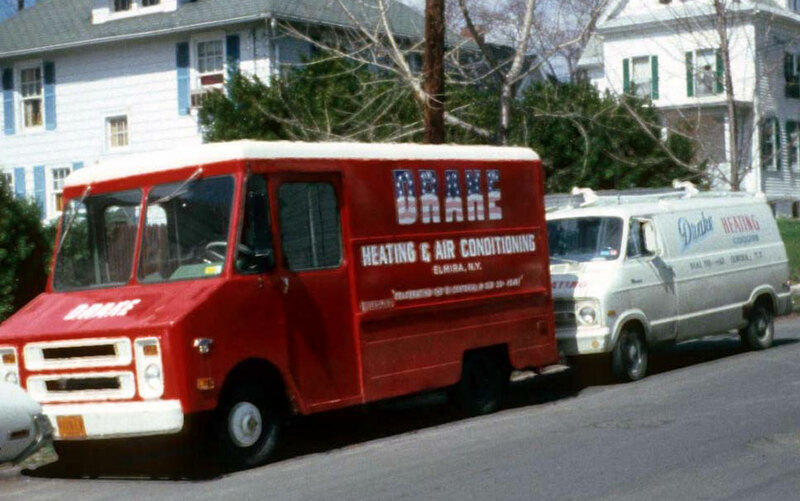 Having been so very successful in the Northern part of the USA, Drake Heating & Air Conditioning, Inc. decided to expand into the southern region of the country. A decision was made to expand in to the Carolinas setting up base of operation in Concord, North Carolina. A commercial/residential installation company was setup to initiate business in the region, and the success brought about the need for a company to service the many systems being installed. 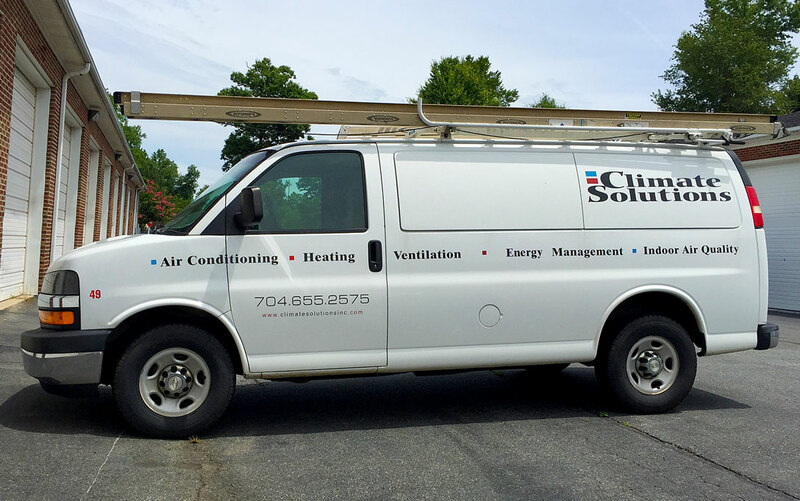 They turned to the third generation of the Drake family, Manning R. Drake, and wheels where put into motion in the Spring of 2001 to start a new company, Climate Solutions Inc.
Manning Drake was brought up in the Heating and Air Conditioning business. As a small child he followed his father, David Drake, around asking “what you doing” and “why” learning every step of the way. His father and uncles taught him everything they knew starting with the basics. As Manning learned the trade he climbed the rungs of many ladders including the ladder of success. He grew from a parts runner to a Installer and then a Service Tech. 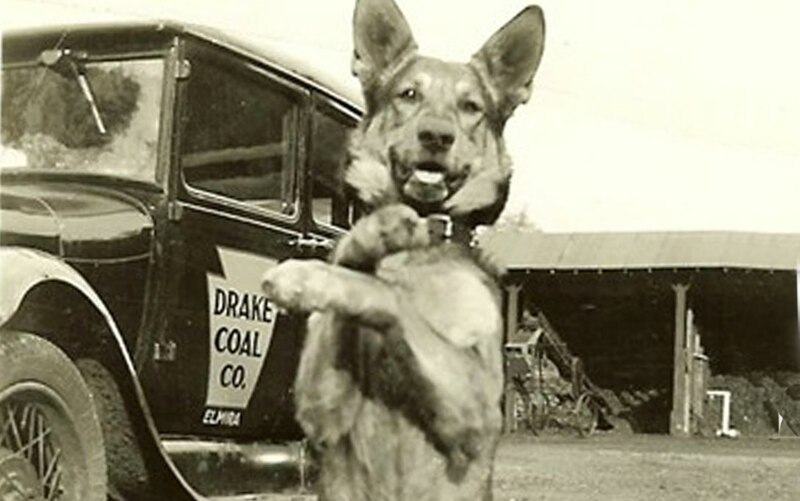 He eventually became a Master Service Technician and then went on to run the service department of Drake’s. When the need for a service company arose for the Carolinas the brothers turned to Manning. 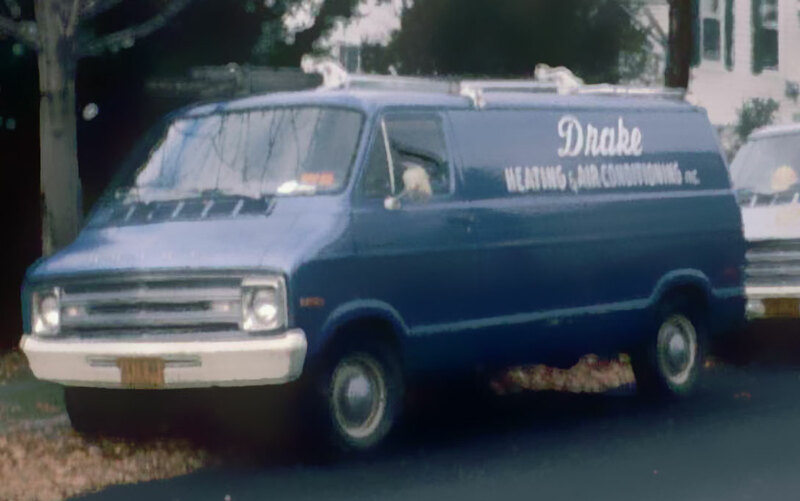 In December of 2001 Manning Drake moved from New York State to start Climate Solutions Inc. to help service the existing customers of Drake Mechanical and to build new business of his own. 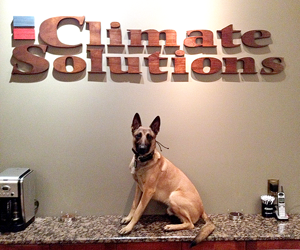 Although Climate Solutions is a young company, its roots are deeply planted in the HVAC business. They have many years of experience and expert knowledge of the Heating, Ventilation and Air Conditioning world. They are now servicing the Carolinas with the Drake quality and service that they are known for in New York and Pennsylvania.